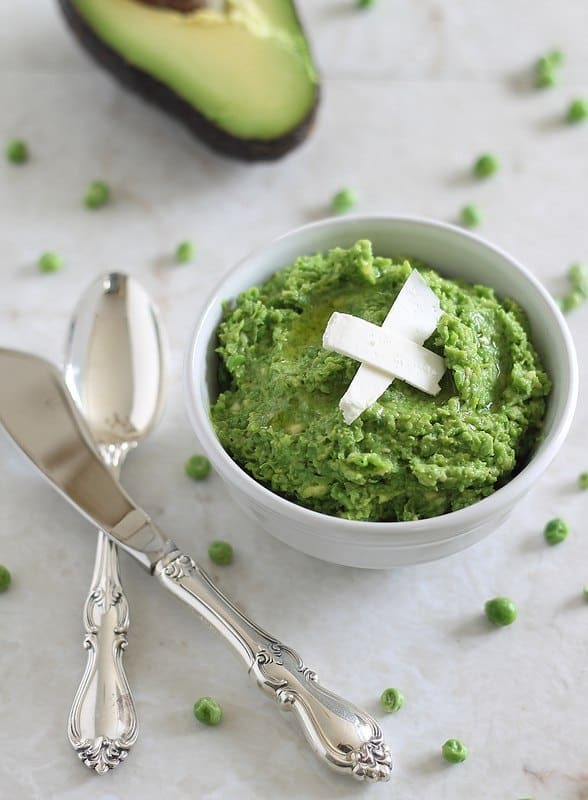 This minty pea and avocado spread is great as a pesto, dip or spread. Weekends are for Five Guys burgers, wonton soup, half of a pizza that should’ve fed at least four and fro-yo. Mondays are for vegetable spreads. I’ve been going a little crazy on weekends lately. Ulysses comes home in a ravenous state Friday night and the eating spree doesn’t stop until he leaves again Sunday evening. I don’t like being left out, particularly when it comes to food but I think I need a reminder that I’m not the one running and getting PT’d by sergeants multiple times a day during the week. I’m deeming this spread spring in a dish and with it saying “eff off” to the winter storm watch that’s in effect tonight. We’re 3 days away from the official change of seasons. Did someone forget to send that memo out? 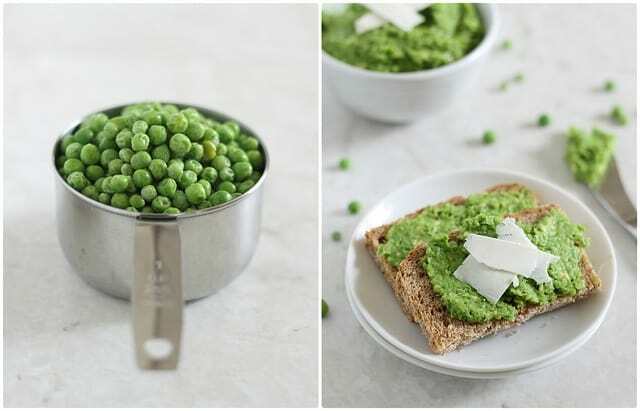 A spring inspired pea spread that is great as a dip or pesto too. Place all ingredients in a food processor except for cheese and process until combined but still chunky. Garnish with cheese shavings and use as a spread, dip or pesto. All of these flavors work so well together. And they’re certainly spring like! This just sings spring! Perfect on a veggie sammie . You’re so right about the kind of food the weekends are characterized by vs. the weekdays! Mondays are for black coffee (and yes, for minty spreads as fresh and austere as a cold spring morning). Girl, I feel your pain! I can be good all week and then my HUsband wants to go our for Italian, Pizza or Chicken Wings on Saturdays and I’m doomed because like you, I don’t want to be left out. And it’s soooooo good that I over indulge! I look at it this way, we are a loud to splurge, just have to work a tad bit harder during the week! Your spread looks good and would be great for dipping veggies in it! interesting but i’m sure this works!! Oh I know that feeling. I definitely need some good green stuff in my diet this Monday. What a unique flavor combo! I bet that would be great on toast in the morning with some sunny side up eggs. Yum-o. Mmm! This looks amazing! 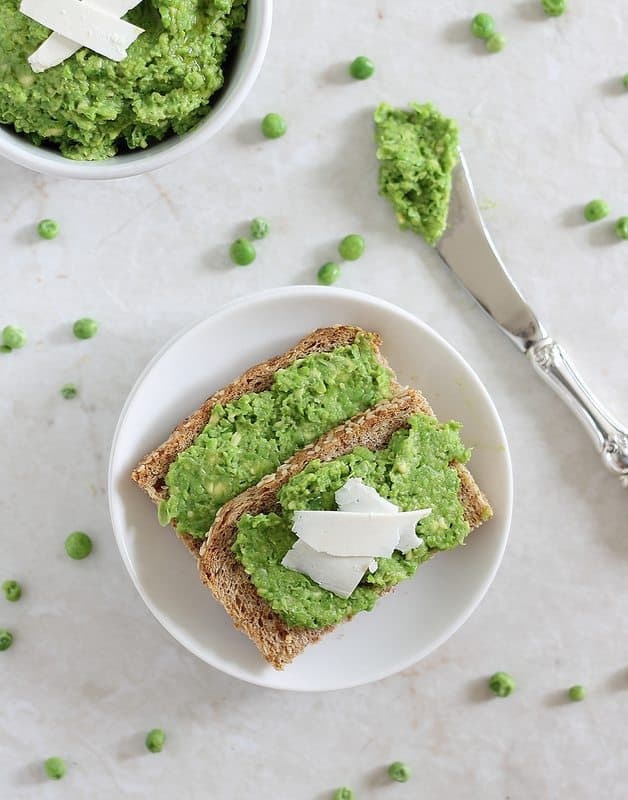 I’m all for some new spring food :) Got the recipe bookmarked and ready to be made! This looks like a great dip to welcome spring this week! Looks tasty…and WHAT is with the weather?? Enough already!